Rope magic is an essential and interesting branch of magic. There are several interesting ways by which a magician can use a piece of rope. Cut & restore, ring on rope knot etc. are but a few interesting rope magic's. Unfortunately till date the magicians had to depend upon the coarse ropes available in the market which were unsuitable for magic. Just imagine, you are performing your favorite cut and restore rope trick and the rope you are using denies to be cut. The rope used in magic should have such softness that it should be cut very easily as smooth as cutting butter with a knife. 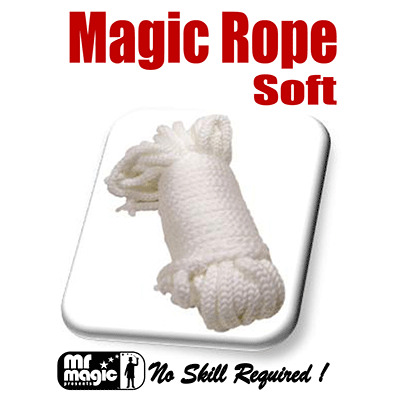 This rope is perfect for small hands; the diameter is smaller than average magician's rope!